Watch as Dr Zhipei talks about China’s first 5G brain surgery in the video below. A Chinese doctor has successfully performed a remote brain surgery for the first time ever using a 5G mobile network, China Global Television Network reported. The surgeon put an implant in the brain of a patient with Parkinson’s disease while sitting at a distance of over 1,800 miles (3,000km). Dr Ling Zhipei, who conducted the operation, says medics could use the new technology to operate on patients who live in remote areas and are unable to travel. 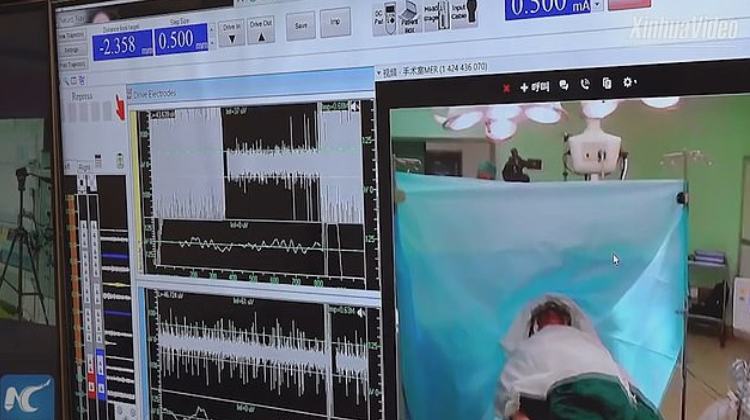 According to CGTN, Dr Zhipei successfully conducted the procedure using surgical robots despite being at a distance of thousands of miles from the patient. Carried out on Saturday, the operation took around three hours. Dr Zhipei, who is a surgeon at the People’s Liberation Army General Hospital in Beijing, inserted a deep brain stimulation implant into the patient’s brain using a 5G mobile network to control the robots and move them ‘almost in real time’. 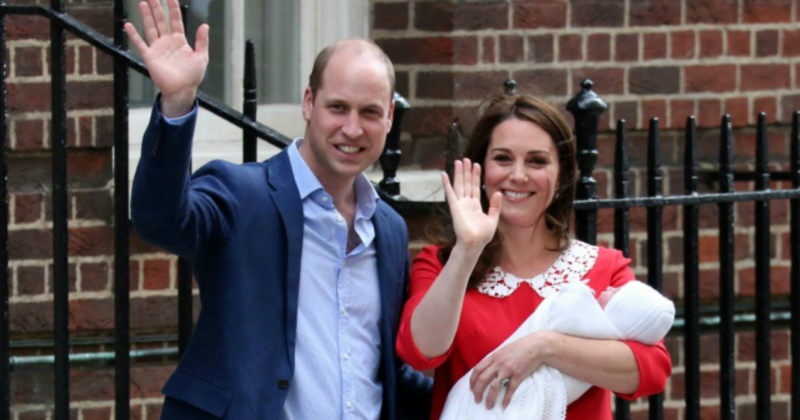 The surgeon was operating from Beijing, which is located in the country’s north, while the patient was in Sanya, a city on the island of Hainan near the south coast of China. ‘The 5G network has solved problems like video lag and remote control delay experienced under the 4G network, ensuring a nearly real-time operation,’ Dr Zhipei said. Parkinson’s disease happens due to any damage to the nervous system which disrupts the regulatory mechanism of human electrical signals. A deep brain stimulation implant regulates electrical signals and acts like a pacemaker for the brain, thus restoring the normal muscle functioning of a patient. It is being hoped that remote-controlled surgery will soon allow people to have several kinds of operations without traveling to far-off cities. 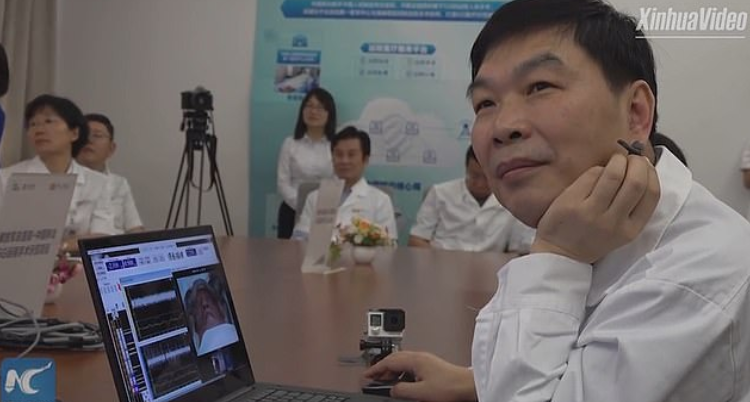 ‘We hope in the future we can take advantage of the 5G network to enable more hospitals to carry out remote surgery,’ Dr Zhipei said in a video shared on YouTube by New China TV. The surgeon performed the operation with the help of Huawei’s 5G technology and the China Mobile network.